Used by women of Asia for protection of skin against harmful environmental factors. Has a fragrant smell, similar to the smell of sandalwood. 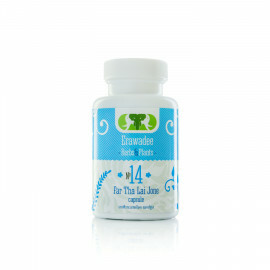 Relieves inflammation, has antibacterial effect. Cleanses blocked pores, brightens the skin. Perfectly removes pigmentation, slows down the skin aging process. Medication for colds. Prevents the development of infection. Has antiviral activity by improving the overall resistance of the organism. Antipyretic. Does not suppress intestinal microflora, does not lead to a dysbacteriosis. Does not damage the liver (pharmaceutical antibiotics adversely affect liver much stronger then alcohol and fats), does not suppress the immune system.